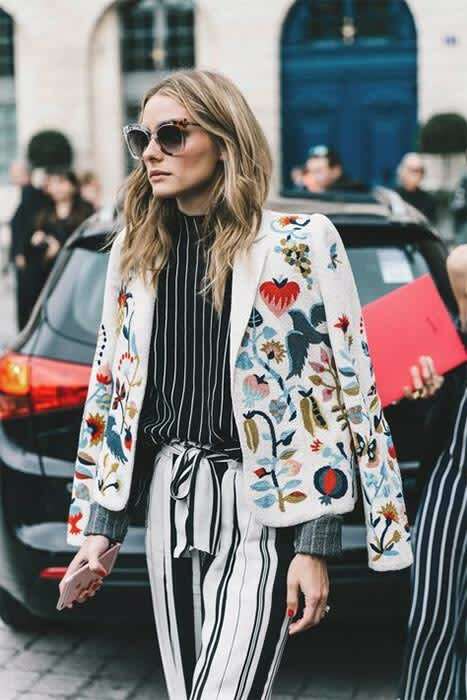 These are the most popular coats on Pinterest | HELLO! With the temperatures quickly dropping and the nights drawing in, there has never been a better time to invest in your winter coat for the season ahead. Brighten up your autumnal wardrobe with a floral coat. This statement cover-up will transform your wardrobe staples, or make like Olivia Palermo and pair with clashing prints for a standout look. The bomber jacket continues to reign supreme for autumn-winter. Statement prints and embroidery transform the jackets for the new season. A true wardrobe hero, you can never go wrong with a camel coat. The military coat is enjoying a resurgence for AW16, having been seen on the runways at Burberry, Mulberry and Topshop Unique. From dresses and skirts to shoes and boots, velvet is everywhere this season. Make like Alexa Chung and work the luxurious fabric into your winter wardrobe with a crushed velvet coat.